This feature looks at the wide-ranging impact of Nigerian alumni, after Nigeria has recently celebrated its 50th anniversary of independence and has held Presidential elections. 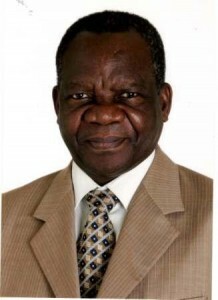 The introduction is by alumnus Professor Michael Omolewa (Commonwealth Fellow, History of Education, King’s College, London, 1975). Nigeria began to benefit from Commonwealth Scholarships from 1960, when the country attained political independence. About a decade after the inauguration of the programme, the Federal Government of Nigeria reported to the 4th Commonwealth Education Conference, in Lagos in 1968, that “the Commonwealth Scholarship and Fellowship Plan has proved an outstandingly successful feature of cooperation. This has remained the pattern for this highly successful development programme which currently lists vice chancellors, deputy vice chancellors, deans of faculties, professors and accomplished researchers as its alumni. The CSFP has responded to the demands of the resilient, energetic, determined Nigerian people in search of opportunities for self advancement and social and professional mobility. The scholarships and fellowships have provided freedom from busy academic calendars back home, and exposure to world standard universities and research institutes. In exchange, CSFP scholars and fellows from overseas who have spent their awards in Nigeria have learnt, at first hand, the limitless cultural treasures of Africa and made lasting friendships. At both ends, the CSFP has helped to articulate the Commonwealth values and principles of sharing, tolerance, understanding, respect for diversity and partnership building. Commonwealth Scholarships in Nigeria have attracted recipients from all social and regional groups in the country, across the gender gap, and introduced recipients to a wide variety of disciplines in the arts, social and natural sciences, agriculture, animal science and medicine. CSC alumni have also made a considerable difference to national development, promoted excellence in scholarship, and dedicated themselves to selfless service, locally and across national boundaries and international frontiers. Furthermore, unlike the experience with many other programmes in which those who come to study in the UK fail to return to their country, the CSC has ensured that the alumni return to their countries after their courses. And the Government of Nigeria has observed that on their return, the country has found the alumni “enriched in knowledge and experience, eager to keep the contacts they had made abroad and more self-critical and mature in their work at home”.